Views that inspire in all directions. Flying into Toronto after a week touring the Bay of Fundy, I felt it. And, it took me by surprise. I felt the difference between a city with a manufactured rhythm and a place where the rhythm is naturally created by the 12 hour cycles of the ocean tides. I took a deep breath and re-entered Toronto while wondering whether a cottage on The Bay of Fundy could make sense in my life. The Bay of Fundy is a special place in so many ways that it is shortlisted as one of the New7Wonder of Nature. I went to have a look thanks to New Brunswick Tourism and Tourism Nova Scotia. The final list of Seven will be announced in November. Between now and then, I’ll write a couple of posts a month to share with you why you definitely want to go there and, hopefully, inspire you to help them with the cause by voting for The Bay of Fundy. The seafood is fantastic - I enjoyed it daily. 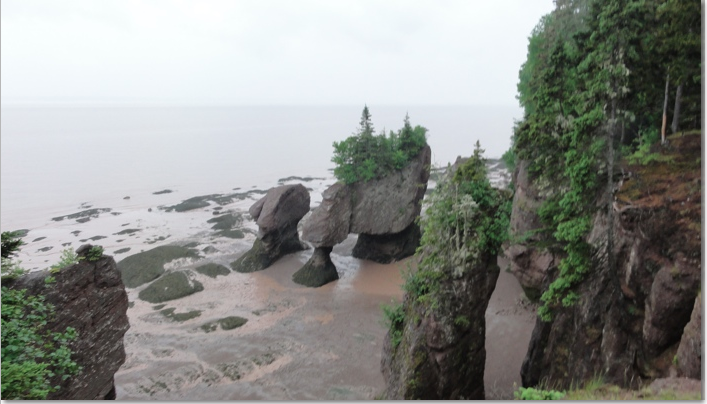 In this post I’ll give you the top things to do around the Bay of Fundy by theme. Over the next few months, leading up to the vote, I’ll go into each them in more detail. Adventure travel – from hiking to ziplining to sea kyaking and horseback riding, there is lots around the Bay of Fundy for the adventure traveler. But, top of the list has to be riding the Tidal Bore. I had no idea what to expect. I thought it was like rafting but, other than than the fact that you’re riding in a zodiac and you get wet in wild water, it’s nothing like rafting. Watch for the post on that experience on Solo Traveler. Food and Wine – I ate great food and drank local wine around the Bay of Fundy every single day. 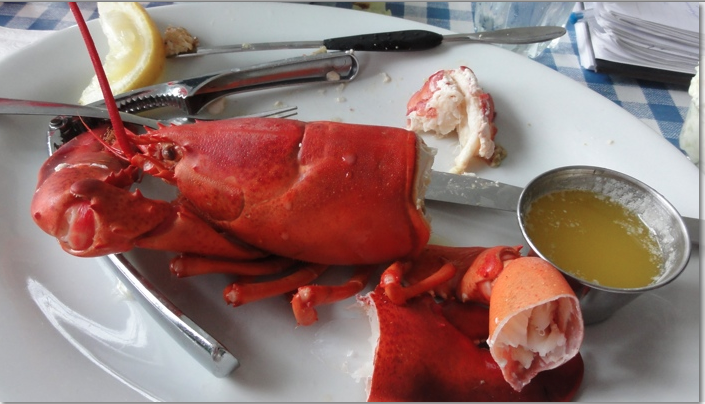 From road side stops for excellent lobster rolls to fine dining restaurants overlooking the ocean, I had great food. I also discovered a few surprisingly good wineries when there – they don’t export to Ontario. Music – Maritimers are known for their music. I stepped into the heart of the music scene in St. Andrew’s by the Sea when I met Jamie Steel. He’ll show up in a post on music as well as one on how to meet the Right Locals. Geology and Paleontology – Who knew? There is lots to dig around the Bay of Fundy. For those into rocks and fossels, there is the Geological Museum in Parrsboro, Nova Scotia and the geopark in and around Saint John, New Brunswick. Marine experiences – This is no surprise but some of the activities were. Of course, you can go fishing and whale watching but have you dug clams with a man who has done so for 40 years? He’ll teach you the technique. Add to that dulce harvesting and you have a Fundy Experience. 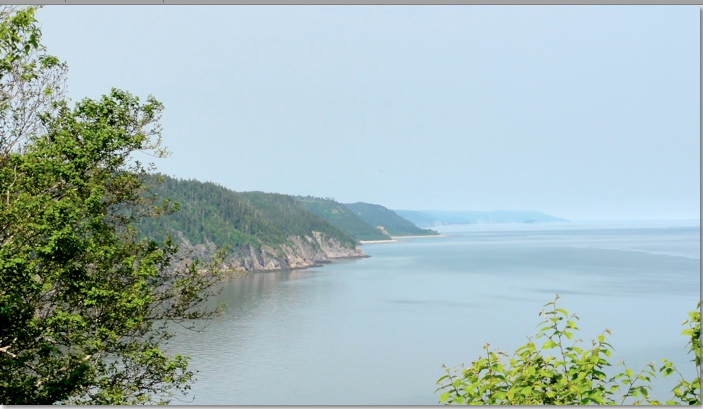 Spectacular Scenery – If all you want is to relax and enjoy beautiful scenery the Bay of Fundy is your place. Everywhere you look as you drive around the Bay offers beautiful scenery. I’ll give you an itinerary soon. History – This history around the Bay of Fundy starts with the Mi’kmaq people. Moving forward in time, Europeans were there in the 1600s. The City of Saint John was the first incorporated city in Canada and it’s right on the Bay. In the 1800s the region was alive with summer resorts and private retreats. Acadian Homecoming – In the Expulsion of 1755, the Acadians (french speaking) of Nova Scotia were removed from the area by the English. Consequently, there is an Acadian diaspora all over the world. The Grand Pré National Historic Site of Canada commemorates the Acadian settlement and is a destination for those with Acadian heritage including the cajuns of Louisiana. Hospitality of the People – There are no people in the world like those from the Maritimes. Happy, relaxed and helpful, it’s important to take the time to mingle. Go to Slocum and Ferris in the Saint John City Market. I’ll give you more details soon. Flora and fauna – How can I forget the pleasure of watching deers in the wild or enjoying the beauty of the wild flowers – I was particularly taken with the fields of buttercups punctuated by stands of wild irises that we rode horseback through. As I’m sure you can tell, I’m quite smitten with the Bay of Fundy. I’ll be writing more over the months leading up to voting it one of the New Seven Natural Wonders of the World. Have you had a Bay experience? Please share in the comments below. Walking on the ocean floor at the spectacular, environmentally curious and ecologically necessary Hopewell Rocks.